But things are looking up. 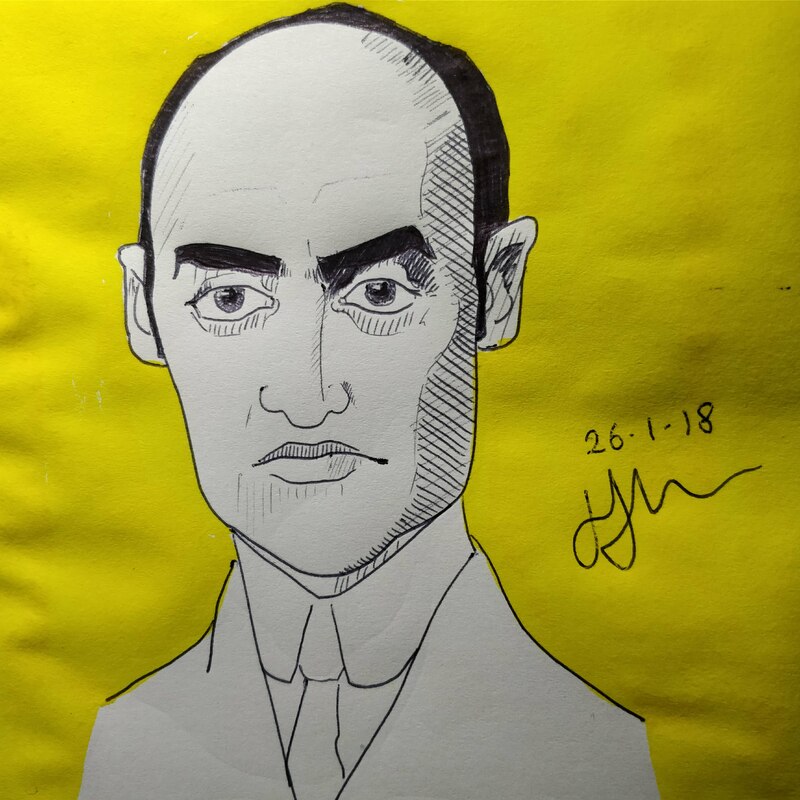 Here’s one of Joseph Alois Schumpeter, an economist who coined the term ‘creative destruction’ – a phenomena which explains a lot of the rapid technological transformation we see in the world around us today. He’s been on my mind, as I had an essay due in on the effectiveness of barriers to entry – the Schumpeterian entrepreneur has been mucking around in my subconscious a lot. So I guess that’s why this drawing appeared. Had some more success this week. A drawing of my favourite coffee shop, Home Coffee, was noticed by them… I think they’re going to display it in store! It’s just a reminder that consistently doing good work and sharing it does pay dividends. My favourite coffee shop in Portsmouth, @homecoffeesouth – and believe me, that's a tough contest to win. They've got the best vibe, incredible food, friendly staff, a nice environment to work, relax or play chess in, and needless to say, absolutely sublime coffee. Here’s to the weekend everyone.